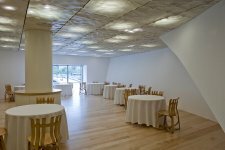 Josean Martinez Alija - Chef and apologist of minimalism. 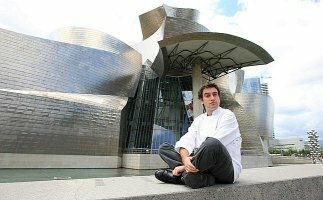 Name Josean Martinez Alija associate experts in the culinary arts, primarily with the elite institutions of public Power «Restaurante Guggenheim» in the Spanish city of Bilbao. It is located in a unique place: the Guggenheim Museum, whose building was designed by prominent architect Frank Owen Gehry, which later became the hallmark of this gifted architect. Outside the restaurant, in the halls of the museum are decorated with paintings of contemporary Spanish artists such as Richard Serra, Mark Rothko and Andy Warhol. And inside it creates an artist from cooking, chef Josean Martinez Alija. Remarkable interior of the restaurant: the elements of luxury can be attributed only tablecloths on the tables - they are heavy, rich fabric willy-nilly, reminiscent of the great past of Spain. Initially, except tablecloths on the tables there is nothing: no cutlery, bread bins, the more flowers or candles. All in the spirit of minimalism! The real art visitor will find food, seeming at first glance, is also very economical: no garnish and sauces. 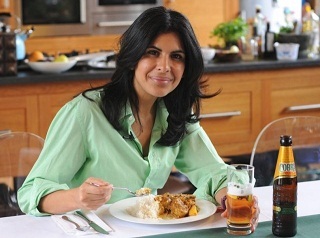 But, on the other hand, the reason for admiration handiwork of master Hoseana is how food is in harmony with the dishes in which it is served, and, of course, its taste. Mr. Aly boils down their meals to their most essential components. He compares this process to the letter of the Japanese haiku (as a single column of Japanese characters), in which no syllable, not even half a syllable can not be wasted. But property haiku - simplicity - is not unique to the method of cooking, but only a clear and concise implementation of ideas maestro on a plate. Like the famous chefs in the United States, Hosean seeks to recall the memories of visitors a familiar food. But not in the performance of their grandmothers. He goes further, including in their dishes modest components inherent in kitchens predecessors, changing the structure of the ingredients, their flavors and aromas. 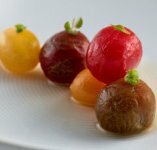 For example, tomatoes in his dish «Tomatoes Filled with Aromatic Herbs and Caper Broth» (Tomatoes filled with aromatic herbs and "laughing" broth) at first glance seem innocent horticultural variety of plant foods. But this impression is deceptive: having tried them, the visitor will feel in the mouth effect of a bomb from a mixture of flavors and aromas of rosemary, mint, chives and lemongrass. Technology of preparation of this dish is not simple: to bring into each tomato herbal filler Hosean uses a hypodermic syringe. 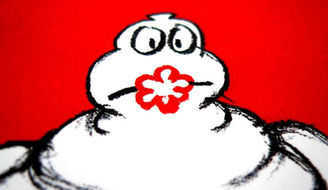 After that, he "dresses" for each vegetable "shirt" made of green pepper or sprinkle with a gloss pepper Morron. According to Josean Martinez Alija, surprise visitors something familiar difficult. That is why he considers the technique of cooking, as a challenge to the daily routine. On the other hand, the simplicity brings us closer to understanding the essence of life is based on the Earth and its bounty. 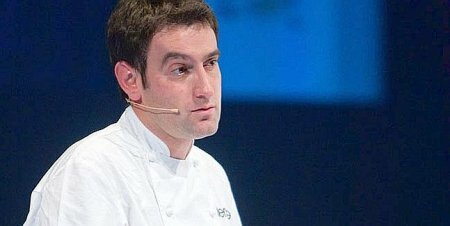 To enter the list famous chefs of our time, a native of the Spanish city of Leon, Josean Martinez Alija (born in 1978), it took half a lifetime of hard work. Is it much or little? With the conventional view, of course a lot. But the real figure and surprise and shocking: 15 years from a total of 30 lived! 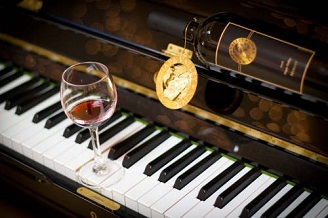 Still ahead, creative life has just begun, and behind him is not a reward, and that is very important, invaluable experience. The family of future celebrity was his garden land, which includes a vegetable garden and a few head of livestock. Love of nature led to the fact that the young Hosean often returned to, in his words, "wild environment" mountains and sea. It was formed in childhood its priority in the field of cooking: flavor of the dish - that is the basis of his human perception. "But some of our contemporaries" - bitterly says he is now - "Lost smell the simplest carrots!" 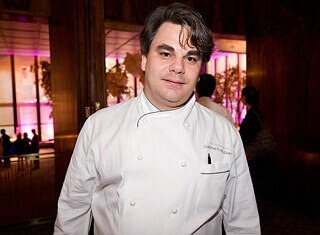 In 14 years Josean Martinez Alija began studying at the cooking school of his native Leon. Industrial practice it took place in the midst of Spanish cooking, the restaurant «El Bull», under the direction of renowned chef and an experienced mentor Ferran Adrià. Years of study have not been in vain. 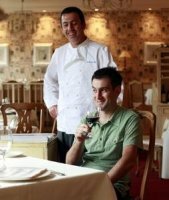 So, in 2000, 21-year-old Mr. Aly, working in a restaurant Lasarte in Barcelona (owner of the establishment - Martin Berasategui), has been awarded its first title "Winner of the 6th annual gourmet Spanish championship for young chefs", held under the auspices of the summit «Lo Mejor de la Gastronomia». 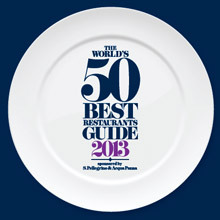 The consequences of this recognition of young culinary talents were not long in coming: in the same year 2000, Bixente Arrieta proposed Hoseanu lead the kitchen of his famous places «Restaurante Guggenheim». In the intervening 12 years since Mr. Aly not only to improve their skills, but also expanded the boundaries of modern Spanish cuisine, which is characterized by centuries-old tradition of using local, seasonal ingredients. During these years, came to him and public recognition. So, in 2009 Hosean was awarded the title "Best International Chef" version «Identitá Golose» - International Congress of Chefs, held in Milan. The following year, 2010, his collection of awards enriched «Conceptual Innovation Award» - award for conceptual innovation. He created exquisite dishes were also observed in various culinary competitions worthy of awards. 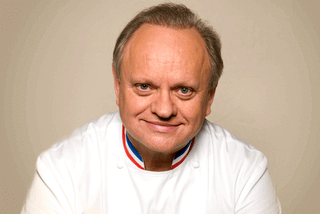 So, in 2002, his fried foie gras of duck liver with candied carrots has been called "the most artistic dish." The following year, 2003, casein, whipped with strawberry ice cream and purple, was recognized as "a beautiful dish of the year". The year 2004, too, was not without rewards. His dish made from cold juice of bitter cocoa, milk and anise ice cream received the title of "Best Dessert of the Year". In progress Mr. Aly not going to stop. 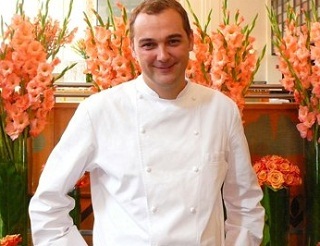 His ambitious plans include the withdrawal of Restaurante Guggenheim in the top 50 restaurants in the world. He is confident that this goal will be achieved in the coming years, and 5 years later he was pleasantly surprised by the visitors of this institution.